Rabbi Jerry Levy believes that the core value of any religious or spiritual experience is the freedom of every person to define and to determine the content and the meaning of that experience. Everyone is responsible to engage in this process. Everyone is creative. Everyone is sensitive to symbols, rituals and to the meanings of personal experiences. And, everyone is religious, albeit in diverse ways. Every event, passage and transition is an element that sculpts us uniquely. Our ability to enter into profound relationships, for example, the basis of every commitment, covenant and compassionate act, is love realized. So, we are instructed to love and to honor. Jewish rites and rituals re-interpreted strengthen our identity as contemporary Jews and expands our knowledge of self and of our impressions of the world. Rabbi Jerry guides individuals, couples and families on their quest to find the essential, the eternal and the sacred. Through life cycle ceremonies, sharing enriching sources of Jewish wisdom and by providing inspiration, one enters the world of blessing. Rabbi Jerry provides rabbinic support and services especially to unaffiliated and secular Jews. Rabbi Jerry has experience guiding individuals and families in their religious and spiritual pursuits. He is an auxiliary chaplain at an elder care facility in San Rafael. He leads the Passover Seder at the VA Hospital in the Presidio. He tutors B’nai Mitzvah students. 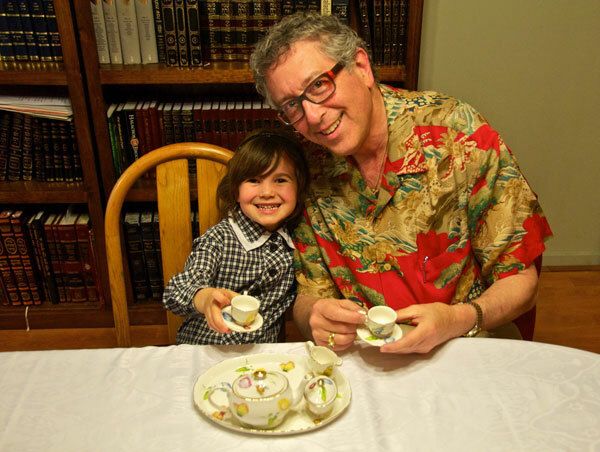 He publishes Shalom Maker, The journal of Visual Torah. And, he officiates at the most profound Life Cycle Ceremonies. Let Rabbi Jerry Levy provide services for your Jewish wedding ceremonies or funerals.